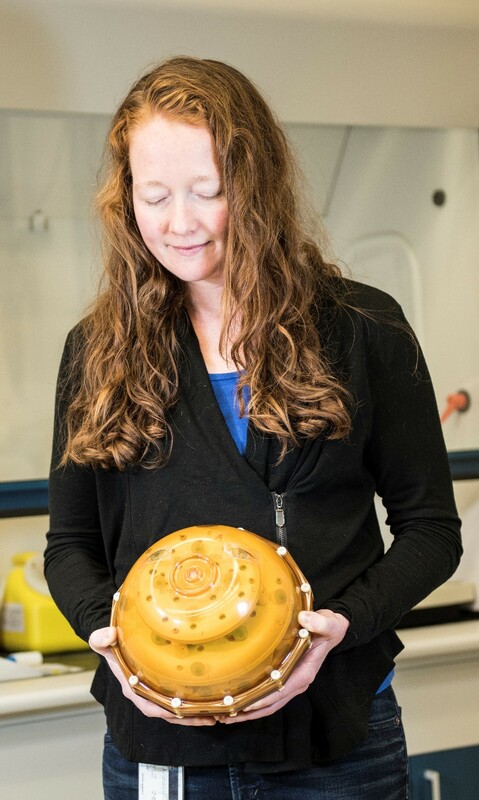 NIST researcher Katy Keenan with a phantom. The National Institute of Standards and Technology (NIST) is now providing a new measurement service that can improve the quality of magnetic resonance imaging (MRI) and provide a path for using MRI to make precise and traceable measurements inside the human body. It culminates many years of research by NIST scientists working at the frontier of quantitative medical imaging for precision medicine. Physicians need highly accurate images for diagnosis and treatment decisions. Quantitative parameters measured by MRI need to be both accurate and have well-defined uncertainties before they can be used for clinical decision making. That means that MRI operators have to characterize their scanners and imaging protocols using traceable standards—those that relate the measurements to an agreed-upon international reference. This is done using “phantoms” – objects incorporating standard reference materials that serve as reliable stand-ins for specific types of tissues in the body. * Phantom manufacturers must ensure that the MRI properties of the materials they use are accurately measured. That’s where the new calibration service, at NIST’s Boulder, Colo., facilities, comes in. Test solution in capillary tube, with magnetic resonance data on monitor in background. Customers send NIST samples of materials to be used in the fabrication of phantoms. 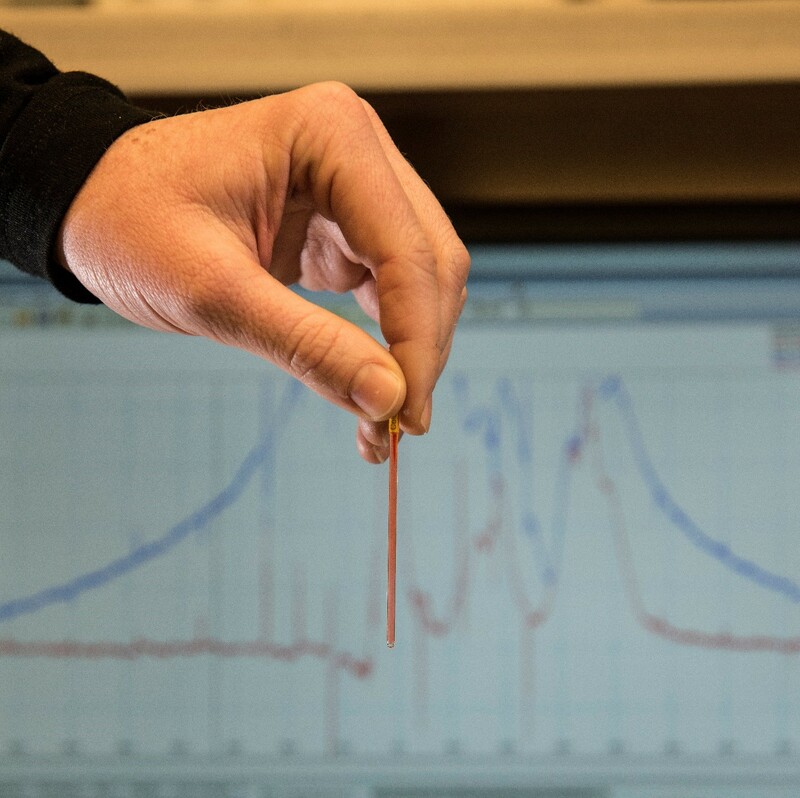 Scientists put the material in capillary tubes, each holding about 10 microliters (millionths of a liter), and place them one by one in NIST’s NMR system. Each sample is tested three times at specified magnetic field strengths and temperatures, a process that can take six to 40 hours per sample. (The automated acquisition system runs 24/7.) Initial samples are limited to liquids, but future extensions of the service will include gels and more complex tissue mimics. "The NMR system is unique and was specifically designed as a metrology system to calibrate medical imaging biomarkers," said NIST’s Michael Boss, who developed the system, measurement protocols and analysis routines. The measured properties provide NIST traceability to the International System of Units (SI) as well as a rigorous analysis of various uncertainties in the measurements. The measurements involve an unbroken chain of calibrations between the MRI results and the SI reference. As a result, individual scanners and sequences can be adjusted to perform more precisely, and data obtained from images on different scanners can be compared with greater confidence. The nuclear magnetic resonance chamber in NIST’s MRI measurement service lab. The operator’s right hand holds a capillary tube of test solution to be inserted into the chamber core. The two relaxation times are sensitive to local tissue properties (for example, in the brain, T1 is shorter in white matter, longer in grey matter). And they provide critical “biomarkers,” physical properties that indicate whether the tissue is functioning normally or whether some kind of pathology or tissue damage is present. They are also used to track how a particular formation, such as a tumor, is responding to drug treatment. The T1 and T2 relaxation times can vary by many orders of magnitude, and the NIST service measures time from 4 milliseconds to 3 seconds. Relaxation times are also very sensitive to temperature, so measurements are performed in a highly controlled thermal environment at specified intervals between 0 ˚C to 50 ˚C. Uncertainties are calculated using a physics-based computer model “designed to tell us what measurements we would expect to get with all the uncertainties folded in,” Stephen Russek said, “from temperature fluctuations to somebody turning on a vacuum cleaner next door, as well as anticipated operator variation.” The model contains factors accounting for imperfect operators as well as system drift between calibration intervals. Similar high-intensity regions in MRI images are related to early-onset Alzheimer’s disease and other cognitive disorders. At present, it is problematic to compare results from patients at different sites imaged with different scanners, which limits the power of multi-center studies. The new measurement service is likely to improve that situation. 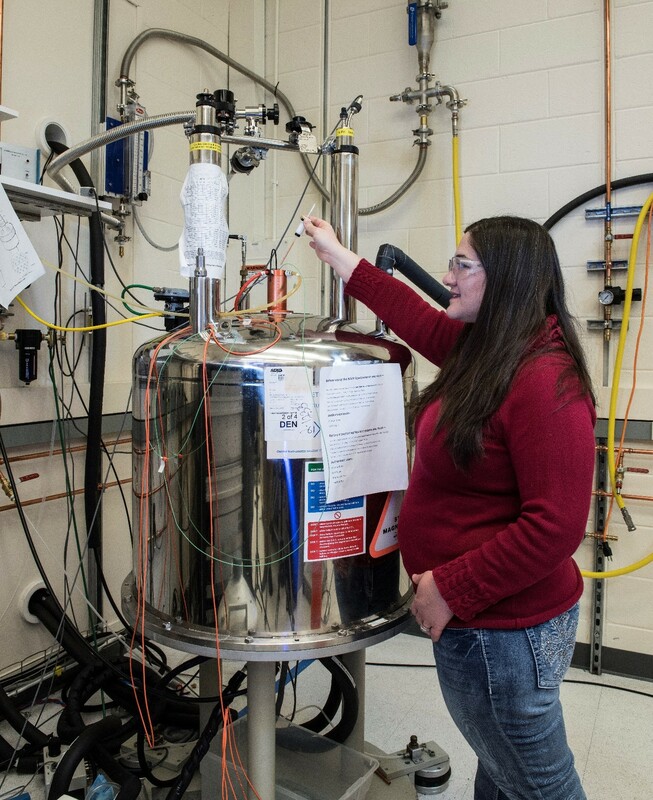 Although the service is currently limited to T1 and T2 measurements, “in about six months we hope to expand it to measure water diffusion, and eventually many more properties,” said NIST program scientist Kathryn Keenan. “The diffusion of water in the body can reveal all kinds of microscopic information, from how tightly cells are packed in a cancerous tumor, to that tumor’s response to a drug, when cancer cells die and break down. It can even map out how the brain is wired, by looking at how water preferentially diffuses along bundles of nerves, or identify breaks in brain connectivity by changes in diffusion behavior,” said Boss, who leads NIST’s efforts to provide diffusion standards to the MRI community. Other MRI techniques can provide critical information about blood flow and oxygen content, as well as the electrical and mechanical properties of tissue. The clinical value of all those could benefit from rigorous calibration of the devices and protocols used to produce the images. * The NIST magnetic-resonance research effort has included development (with collaborators) of several phantom designs for various tissues and conditions, from general “system” phantoms to specialized units for calibrating imaging systems for breast cancer, water and blood flow in tissue, and more. These have been commercialized, and are in use worldwide in MRI imaging research. ** Very simply, nuclear magnetic resonance (the phenomenon that underlies MRI) works by detecting the effects on biological tissues – specifically, on proton spins in the body’s water molecules -- of a strong magnetic field and a radio-frequency (RF) signal in the range of FM radio and microwaves. Normally, the protons’ spins are aligned at random. In the scanner, the strength of the scanner’s applied magnetic field pulls the protons into alignment. Then the tissue is exposed to RF radiation, which “tips” the alignment of the protons. When the RF is turned off, the protons return to their original alignment, giving off electromagnetic signals that are detected and built up to create an image. Protons thus serve as exquisite probes inside the body.